By following the three dharma gems of Guan Yin Citta- reciting Buddhist sutras, practicing life liberation, and making vows- we can accumulate merits, which in turn can be used to reduce our karmic debts and clear karmic obstacles on our life’s journey. Performing Daily Recitation including chanting sutras and mantras creates incredible power. Recitation on a daily basis helps build positive energy and helps us stay away from temptation, bad habitats as well as reduces anxiety and depression. It will also bring strength, wisdom and inner peace so that you can overcome all kinds of obstacles. And it does not cost a cent. All it requires is persistence and wholehearted sincerity. Performing Life Liberation accumulates tremendous virtues. Life Liberation takes three forms of dana (meaning “the practice of giving” in English), including the giving of materials, the giving of Dharma, and the giving of fearlessness – the virtues accumulated are immeasurable. The greatest benefit that we receive from performing Life Liberation is that our troubles and calamities will be dispersed and our lives will be extended especially for those suffering critical illness. 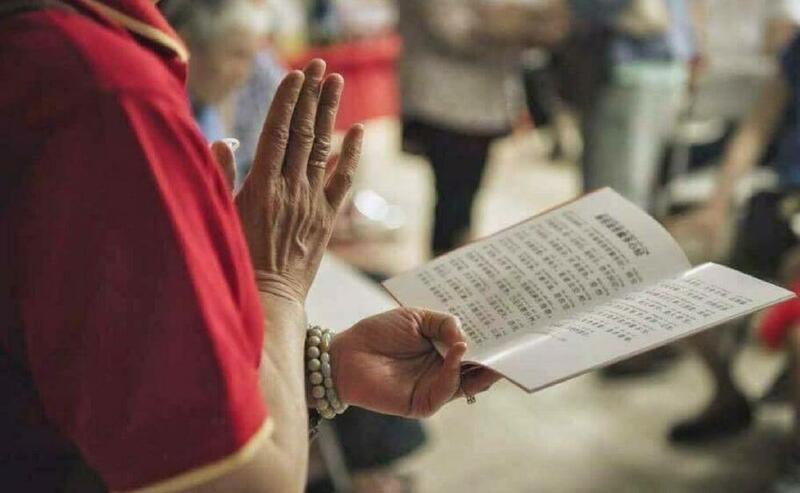 During major life events, when you are asking the Great Merciful and Great Compassionate Guan Yin Bodhisattva for protection and blessings, if you perform Life Liberation in addition to performing recitations, you will achieve better results. Making great vows in front of Buddha is a way of admitting our wrong doings in the past. It also shows our willingness and determination to repay our karmic debts (including transgressions against people we hurt along the way in pursuit of our own goals, animals we killed unnecessarily, and damages we have caused for all kinds of reasons) with the help and power of Buddha. It is equivalent to saying I have acknowledged what I have done wrong and I hope to do the following (within your power) to compensate.